Today marks the date of the death of Roman Jakobson. While Jakobson died back in 1982, his linguistic legacy still lives on as he was one of the most important linguists of the 20th century, especially in the field of structural linguistics, in which he conducted some of his most important work. Rather than dwell of the death of the man, we thought we'd take the time to honour his life, which is almost as interesting as his work. Jakobson was born in Moscow on 11 October, 1896 to a wealthy family. He is said to have been interested in languages from a very young age, and his passion for languages led to him studying in Moscow University's Lazarev Institute of Oriental Languages. Despite his love for languages, Jakobson was very vocal in his condemnation of sound in films and was ironically critical of the newly emerging "talkies". He completed his master's degree in Moscow in 1918. 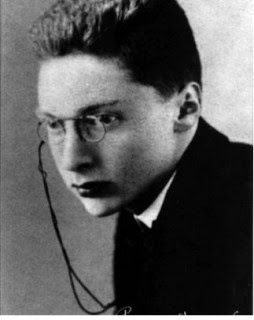 In 1920, just two years after his master's graduation, Jakobson fled Russia to settle in Prague, Czechoslovakia (now the Czech Republic) to complete his doctoral studies before being awarded his PhD from Charles University, Prague. Further political upheaval in 1939 forced Jakobson to again flee his country of residence. This time he made his way to Copenhagen, Denmark in March of that year. Less than six months after arriving in Copenhagen, Jakobson left to escape the German occupation of the area and headed to Norway. The following year he fled Norway for Sweden before the fear of German occupation forced him to leave Sweden for New York City. In New York City, Jakobson taught at The New School and was part of a prominent group of scholars, all of whom had fled the occupied areas of Eastern Europe, particularly Czechoslovakia. Jakobson met Claude Lévi-Strauss at the École libre des hautes études, which led to the two collaborating. After a close brush with repatriation, Jakobson was allowed to remain in the US before moving to Harvard University in 1949. Jakobson remained at Harvard until retiring in 1967. He died in Cambridge, Massachusetts in 1982.